Mike, for the "-Added LTE bandwidth (BW) value on Android 9+ devices." I'm not seeing anything on either of my S9+'s. Is this supposed to show the channel width? If so that would be awesome for devices like my Verizon S9+ where they lock out the engineering screens. Both are running Android 9, one has the March 1st security update and the other has February 1st update if it matters. I'm also still seeing no connection when on anything other than LTE with my AT&T S9+. 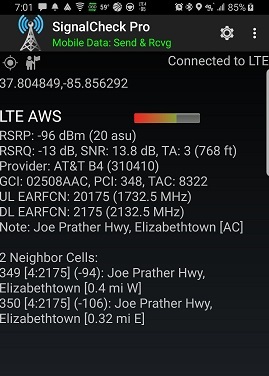 I've also noticed with my Verizon phone that while on B4 the 2nd carrier notation works, but when connected with B66 MFBI to the same sector it doesn't. Not sure if that is something you want to carry over to B66. oDAS and iDAS notations also have this issue with AT&T B66. They are using the same GCI pattern just broadcasting with B66 EARFCN. Sometimes I'll be on B4 and sometimes I'll get B66 from the same site. One more thing, any plans to add the TA value to the log with the closet value saved with coordinates like how RSRP is done now? This would be very helpful when identifying sites using my log files. For instance, I was almost passing under the site from the below screenshot, but RSRP level is still in the -90's. I think adding the TA value would be helpful to identify sites especially when not getting all the way up to a site. 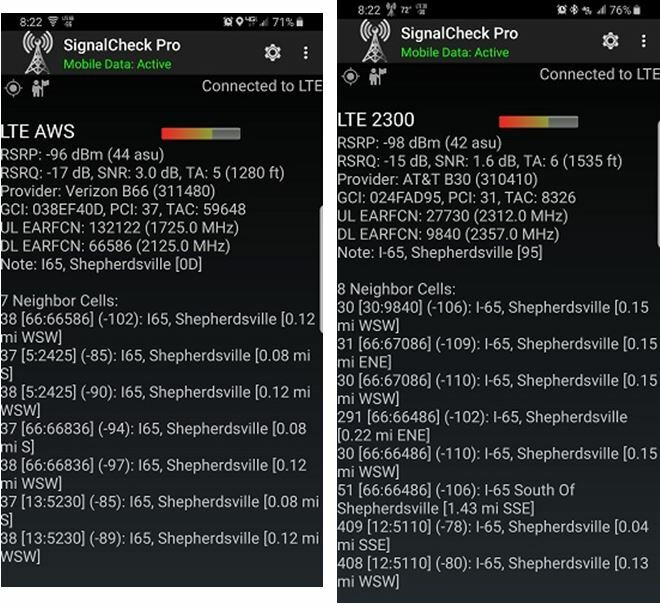 From what I've seen by watching it on both my AT&T and Verizon phones its been usually spot on for distance. Thanks for your patience, and let me know what I broke.. It is supposed to show the channel width, but unfortunately it does not appear to be reliably implemented yet. Much like when EARFCN routines were added to Android 7, I think it may take a few releases before it becomes reliable. On my Pixel 3, it shows about 75% of the time when connected to a macro site. Never shows on my Airave or when I'm on a MB. Feedback from other beta testers is similar, with some devices never reporting it and others showing it sporadically. It has also been wrong on occasion. Because of all this, I may change it to be an option that is disabled by default, and I can note the caveats on the Preferences screen. Ugh, sorry I thought I had that fixed. I'll continue working on it, it's a known issue. Ah, that's something I did not take into account. I'll work on that as well. I do plan on adding both TA and BW to the database. TA has appeared to be very reliable in my experience as well, but I'm not going to change the logic on saving the coordinates just yet. It's still a fairly new addition and not all devices report it, so I don't think I want to open that can of worms yet. I do see how it will be more valuable so it will be a good idea. I had some SCP repeated crashes yesterday on a couple of LG G2s. I sent in a few error logs. 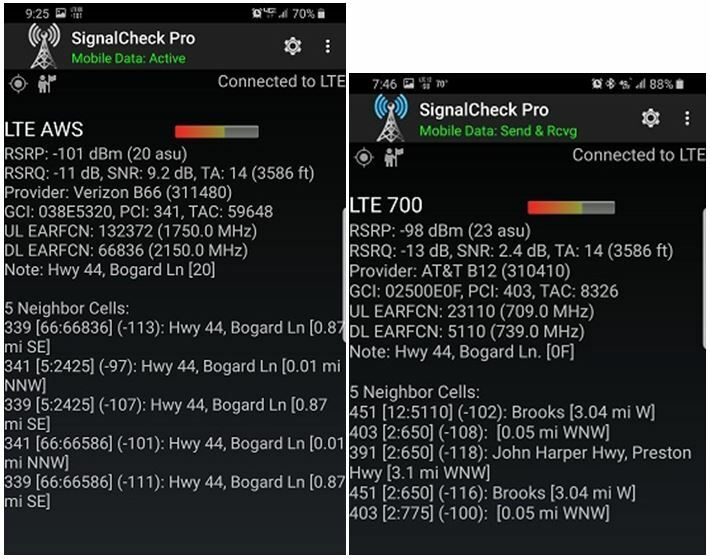 I have a small herd of rooted phones that I use Network Signal Guru to limit to one LTE Band then use SCP to record what I find. I have been doing this for years without issues until this beta. Thanks, I saw those this morning.. looks like on pre-Oreo devices there is an issue with how the app was compiled. I'm looking into it! I sent a few reports for my Moto G4 Play on US Cellular with what I assume to be the same repeated crashing issue. I believe I have resolved the force closes on pre-Oreo devices as well as the force closes with the custom LTE alert. Need to do a bit more testing but I should be all set with additional reports about those, thank you to all who have sent crash reports--it is very difficult to fix anything without that data, I appreciate it! Has anyone (@jefbal99?) 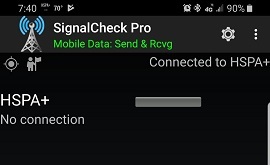 tried using SCP with Android Q Beta 2 yet? Curious to see if anything has improved yet. If you can get it to run at all, please send me a diagnostic report so I can see how it's doing. Blah.. thanks. 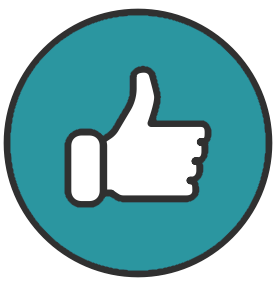 I starred your new issue report and added a comment. Did your original report on the issue tracker from a few weeks ago disappear? I haven't seen any diagnostic or crash reports from you yet today. What's weird is that I only see TA sometimes. I'm not sure it could be depended on, at least in my experience. My non-scientific observations lead me to believe that TA only appears when data is actively flowing. When the connection goes idle, TA disappears. That would actually explain it pretty well. Thanks. starred. Now up to 6. Need a lot more people to star it since Google is numbers driven on what it chooses to fix. Q Beta 2 might be reporting enough info for me to work with. I have to implement workarounds in to ignore the some of the invalid information that it is reporting and see what's left. Another complication is that Q is identifying itself as API 28, which is the same as Pie. I'm working on it..
New beta just uploaded, should be available within the hour! Hopefully will fix the custom trigger crashes, pre-Oreo crashes, missing WCDMA/GSM data, and missing Android Q data.. please pass along any improvements you notice! 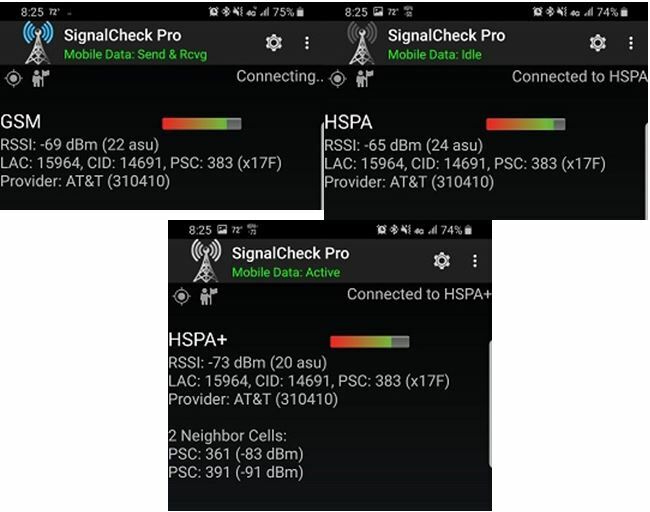 Just sent a diagnostic report, still getting no connection when on HSPA+. Edit: I'm also no longer seeing SNR reported on either my AT&T or Verizon S9+. Thank you both for sending diagnostics, it is very helpful. I see a few things I can improve on for Q to minimize unnecessary errors in the background, but overall it looks good. Let me know if anything seems missing. I'm definitely closer to getting the HSPA/WCDMA stuff working; I have a hunch what the last flaw might be that is keeping it from displaying. Please send diagnostics from the AT&T and Verizon devices when you have a chance so I can dig into that. Not seen that on LG V20 with Android 8.0.0 or LG G2 with Android 5.0.2 (rooted).